Brave Nora? Poor Nora? Selfish Nora? The strength of Marin Onstage’s production of Ibsen’s A Doll House is that the acting and dramatization are of such quality that they leave the audience free to make up its own mind whether Nora is justified in slamming the door on a marriage plus three children. The production is so good that the questions Ibsen asked 130 years ago about women’s place in the world and home get beneath the skin and make a modern audience question its own complacency about marriage, the home and personal duty. As ever, 75 percent of the success or failure of the production lies with the lead role, and Stephanie Foster’s wonderful performance ensures the success. Her girlish twitter completes the impression of a naïve “little lark” concerned only with frivolous spending and making her husband happy. As Krogstad’s blackmail net draws closer the twitter is heard less often and becomes more forced. Director Ron Nash brings out the particular power of Foster in the frenzied tarantella dance rehearsal, timing the long pause at the end exactly to bring out the sense of impending doom that awaits Nora. But Foster could still show more steely resolve in the showdown with Torvald to prove that the “little lark” has flown away for ever. Gabriel Ross as Torvald in fact is the more powerful in the final scene, particularly in forbidding his wife from having any future contact with the children and stopping her from reading Krogstad’s letter, even though it is addressed to her. The success of his own performance is ensured in the declaration “I would gladly work night and day for you, Nora–bear sorrow and want for your sake. But no man would sacrifice his honor for the one he loves” – shocking and thought-provoking at the same time. Jim McFadden brings out a fine measure of whining, crushed resentment against the world as Krogstad, making the observer reluctantly feel some compassion. But a greater sense of menace is needed to show he will destroy her husband if Nora does not meet his demands. Bill McClave dons a competent persona as Dr. Rank, the family friend secretly in love with Nora. Their own denouement falls short of convincing however, almost as though McClave is not fully concentrating on delivering his admission – which sets the pace for the whole scene — with the right mix of emotions. Kelsey Sloan as Mrs. Linde works up power and moves into her character as the scenes unfold. Her first scene elicits an “uh, oh, is she up to the part?” but she gains confidence and shades Krogstad in their big encounter. Regardless of performance, Ibsen almost always brings out the bleakest aspects of humans. The comments on religion and suicide make us despair of our whole existence. Ron Nash’s production proves that local companies (with the exception of a certain Marin group) do have the ability to stage the classics,which should not be the preserve of big city groups only. A personal plea to directors and producers the world over. Why, ohhh why, are the slam of the door and the letter in the mailbox, the enduring symbols of A Doll House, so often portrayed OFF STAGE? Just putting the mailbox on stage ratchets up the tension – and gives Nora a greater range of opportunities to show her state of mind. Welcome to November’s issue of Synchronized Chaos Magazine. 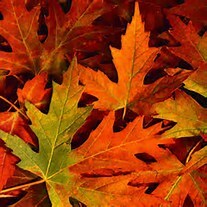 Many cultures view the last few days of October and beginning of November as a special time to remember and honor those who have passed on, to reconnect with history and heritage. We wish a happy Day of the Dead, Samhain, Diwali, and Halloween to those who celebrate. We also mention some insightful, courageous writing from longtime contributor Jaylan Salah, from Alexandria, Egypt. She recently had a piece published in the Elephant Journal about the freedom in being authentic: http://www.elephantjournal.com/2013/10/nakedly-naked-jaylan-salah/ and another on poverty and sexism within modern Egyptian culture: http://guardianlv.com/2013/10/egypt-the-country-you-know-nothing-about/ Please feel free to take a look at these short pieces. 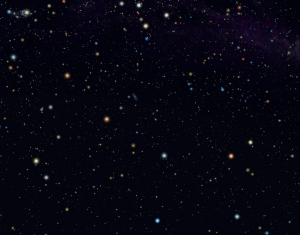 This month we voyage out into the vast expanse of the universe, looking to culture, history, science and geopolitics for insight. 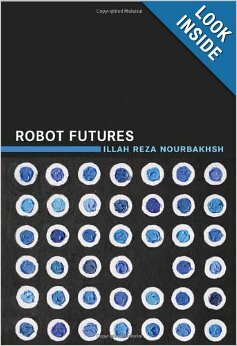 Charlotte (Capaldo) Shea reviews Robot Futures, Dr. Illah Reza Nourbakhsh’s book on the scientific promise of robotics research. Rather than repeat skepticism and fears about ‘robots taking our jobs,’ Nourbakhsh takes a more optimistic and curious tack, exploring various technical possibilities and holding out faith in humanity’s ability to adapt. Regular neuroscience columnist Leena Prasad reviews Dr. Eric Chulder’s Neuroscience Haiku, a collection of thoughts on brain science expressed in the traditional Japanese poetic form by the University of Washington researcher. Dr. Chulder communicates modern findings through a form of expression that goes back centuries, engaging us as we learn about the frontiers of research. Leemond Dollins’ poem, “A Day on the Mat,” where a speaker combats depression through yoga and medication, plays with form, varying line lengths according to a Fibonacci sequence pattern often seen in nature, such as within the structures of pine cones, seashells, and leaf and flower petals. Nigerian medical student and essayist Ayokunle Ayk Adeleye discusses the university staff strike in his home country and warns his government against violent solutions. His piece provides a view of current affairs from a local citizen’s perspective. Also, and sometimes at the same time that we look outward, we peer within, to our minds, hearts, and desires. These submissions express our wishes for transcendence, our longings to go beyond our own lives and circumstances and connect with something larger than ourselves. Sages and philosophers have admonished us for ages that if we want to unveil beauty, solve the mysteries of existence, or teach others about living a meaningful life, we must first confront our own issues. While that makes sense, it is difficult to figure out how to deal with ourselves – prompting another maxim, that the problems facing our age may not be solvable by the minds that created them. However, we need to start somewhere – we may be imperfect when it comes to understanding and moral strength, but sometimes we are all we’ve got! Even when we turn to faith, there is still some element of human responsibility in terms of understanding and living out the values of our spiritual traditions. The mere fact that something is difficult, or even impossible in its entirety for us as mortal creatures does not necessarily excuse us from the duty to attempt it. And this month’s contributors, when their thoughts turn inward, make attempts at honest reflection and self-analysis. Charles Mazzarella celebrates the creative journey in his piece on the writing process, going beyond his own work to discuss the art in general and setting a tone for this issue. Sophie Mazoschek highlights the brevity and fragility of each of our moments, and each of our lives, in her imaginative rendering of a San Francisco bus ride. Her vignette extends the life of a small slice of time. Jack Savage graces us with another dream image, reaching into his subconscious to create an interesting striped animal. Kamila Boegedal expresses her speaker’s desire to touch the cosmos, to expand her circle of thought and concern beyond her own daily matters. She longs for the freedom to reach up to the heavens and to share the relative permanence of trees. She yearns to expand, to connect to something larger outside herself. Sue Barnard chronicles literal journeys in this issue, to the less-frequented Roman ruins of Ostia and to a Swiss independence day celebration. Yet these travels represent something more than just a personal diary, reminding us why we go to visit historical places. Apart from intellectual curiosity, we are acknowledging that we are part of something larger, that humanity existed before us and will continue after our passing. We are not so unique as to have never faced many of the vagaries of human life and nature before, yet we are important enough to play some part in leaving a legacy for future generations. 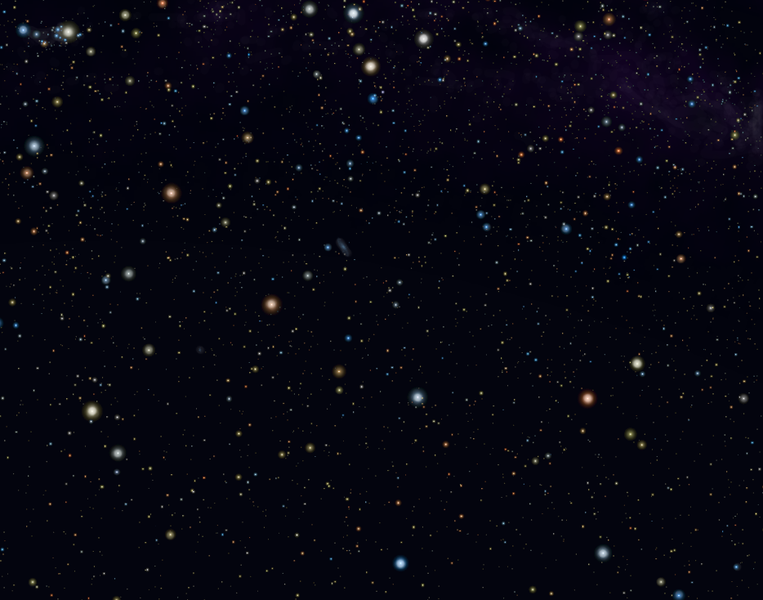 Emma Bernstein also looks to mythology in her poem Chained Woman, evoking images of the stars and the cosmos, as well as classical Greek tales, in her piece on the constellation Andromeda. Science here is a modern day myth, re-infused with the idea of sacrifice and redemption. Bill Vernon provides an earthy, humorous look at one man’s dedication to Latin translation, choosing the elevation of the mind over the needs of the body. James Humphries, Texas’ first prison fine arts teacher, as described by his son Jonathan in the memoir Windham’s Rembrandt, and reviewed here by Kimberly Brown, had to deal with his own issues before being able to serve others. This became a practical necessity as well as a psychological platitude, since he realized he was also vulnerable to some of the same life issues and temptations facing his students. Mr. Humphries develops empathy for the inmates as he encounters his own problems, and becomes able to teach them without either judging them as human beings or coming from a superior position to pity them as poor victims. The book honors the humanity of its characters – in and out of prison – without ignoring or excusing negative actions on their part, by illustrating their capacity for reflection, growth and change in the face of internal and external obstacles. David Toussaint’s book DJ: The Dog Who Rescued Me, also deals with self-examination, with a protagonist who finds his way out of depression. Reviewed here by Elizabeth Hughes, and illustrated by Piero Ribelli, the book shows a narrator who avoids the pitfall of self-absorption even as he tackles his own personal issues by staying connected to the larger world through caring for a rescue dog. Dealing with ourselves doesn’t have to mean neglecting our responsibilities to each other, or completely isolating ourselves from others’ needs, and can be a mutually enriching process. Hughes also reviews Paul deBlassie’s The Unholy, a novel using the paranormal genre not as an escape but as a way to explore the spiritual, the psychological, the world beyond what we can see. DeBlassie aims to promote values of life, healing, nature and nurturing through his work, as opposed to greed and lust for control, and the horror aspect of the book highlights the real harm caused by selfishness and ignorance, and shows the need for and power of the beauty and grace within the story. Daniel Jacobs’ The Eyes of Abel, as reviewed here by Fran Lewis, shows a journalist learning to confront and tackle his unconscious political biases, and those of the rest of his media organization. Charlin is well-meaning, brave, and determined to expose the truth, but must first make sure he understands the complete picture. The novel suggests that peace in the Middle East may become possible when we hear the perspectives of all involved and grapple with the deeper economic roots of the conflict. Irving Greenfield also addresses inner reflection in his melancholy short story, “Sorrows of Santa.” The piece suggests there is a price to pay for losing the illusions that have become ingrained in and possibly necessary to our society. How much would fall apart if things got examined, if we faced reality? Do we need to live a lie? Conversely, how could we find and provide hope while telling the truth to ourselves and our children? Greenfield’s next tale, “Toward a Darkling Plain,” shows the pain that can come from facing reality, as a lonely man’s adult worries resemble his childhood terrors. As James Humphries dramatizes in Windham’s Rembrandt, we are only so strong, whether in the face of inner weaknesses or external threats. That is part of why we turn to myths, heritage, faith and the larger world for transcendence – not just for personal strength, but for the reassurance that life will continue after we are gone, that something will outlast us even when we lose our own battles. Please enjoy this month’s issue of Synchronized Chaos Magazine, and please feel free to leave comments for our writers and artists! There are hints, yes, insinuations, that the President, if ASUU rejects his next (perhaps, last) offer, will forcefully open the Universities- and perhaps Polytechnics, since ASUP is also on strike. I’m forced to ask (myself), Can that happen? Will he drag the lecturers back to class or will he teach us himself?- I particularly look forward to a lecture on Schistosomiasis since he had a shoeless childhood. But I answer my own question from my recollection of national events a mere score and two months ago when he let soldiers loose on our streets and shut down our (peaceful) protests against the petroleum product subsidy cut. Can he do that again? Can’t he? Only the weeks ahead will tell. But if history is anything to go by, we have a President who resorts to force once he feels he’s at the wall. We’ve wondered if his is a pseudo-military regime. We just might get the answer soon enough- disappointingly. As I pray it wrong the opinion that “the only lesson men learn from history is that men learn nothing from history”, I also pray that our President doesn’t have the Biblical Jonathan’s temper- or feel at wall, hands on throat and choking away. For we know how that ends. Or do we now? With our colonial masters wondering just what to do with us, corrupt and rather corruption-ridden- and our rather enticing resources. With the former President tactfully silent- and silently tact. With the Military yet waiting on the lord- and renewing their strength. Ayokunle Adeleye. Sagamu, Ogun State, Nigeria. and four on the floor. upon land soaked in mania. He takes his place in the hell that designed depression. Downward dog deletes the ego. The truth comes to him. exists as waves of motion. I attended a robotics media panel recently and was disheartened when the topics were announced. Three public voices central to communicating the complexities of robotics were about to engage us in an hour-long discussion on the two most contrived topics: drones, and robots taking our jobs. I patiently sat to indulge the predictable concerns, hoping someone might enlighten me with something new. 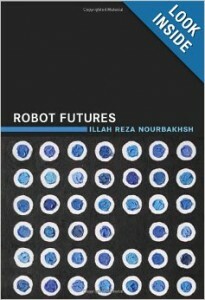 Just a few days later I read Illah Reza Nourbakhsh book Robot Futures and found what I was looking for. I believe Nourbakhsh would have been similarly unenthused with the topics, though the the contrast of profound contributions would have been refreshing. This situation is symptomatic of the nature of the hazy field, a moment he calls “robot smog.” Perpetually just beyond our reach, the existing technologies don’t offer much else to discuss but the relevant controversies. His ethical probings consider the challenges and benefits of interacting with robots; the new spaces of augmented reality; and how, someday, our very bodies will be littered with nanobots. He does so from the expert perspective of a Carnegie Melon University engineer, and with great humility. To inform the world of what is to be expected from robotic innovations over the next few decades, Nourbakhsh sets out to describe the haziness of this “ragged frontier.” The varying innovative paces of the key robot ingredients, from hardware to networks, make predicting what will be deemed a “robot” in the future nearly impossible, though worthwhile. His knowledge of the technologies, juxtaposed with his sci-fi vignettes, offer a glimpse of the future and of the author himself. Nourbakhsh creates a space in which we can begin to grasp our future. He reasons that, though much of the technology now seems superfluous and confined to places humans don’t want to be, we ought to thoughtfully consider their potential. We have every reason to believe that we will embrace robots and other interactive media the way we have our smartphones. We were born multitaskers, and hang on our friend’s every recommendation for flash card, cloud storage, and babysitter apps. We can’t help but yearn for the kaleidoscope of ways to expedite our daily to-dos. Imagine how the average robot—smarter than the average human—could help and work with you. Nourbakhsh describes intelligent systems that are already engrained in our society. Adbots—data-mining algorithms for ad-placement—bridge the digital and physical worlds in profound ways. When your regular news source websites start showing you overstock.com products that you were scrolling through the day before do you feel a little twinge? What will these dynamic marketing strategies make of our free will? Aren’t they judging our actions—our search results—to feign knowing us? This is the unsettling aspect of our future with robots. They will know more than and about us, using their seeming omnipotence to give us superpowers. Our masterful multitasking will only feed the billowing innovation. The human-machine interface will grow exponentially indecipherable, and our roles on the planet will look as foreign as the profession of computer programmer might to a pilgrim. Perhaps every life will become, as Nourbakhsh puts it, the “CEO of Me Incorporated”, in which physical limitations disappear and we are in multiple places at once. Institutions will be similarly enhanced. The majority of research happening today is government funded, and much of it won’t effect the lives of the American public any day soon. Nourbakhsh himself has devoted his time and talent to developing interactive media to educate the public of technology, thereby effecting their daily lives. He encourages creators to seek altruistic motivations and funding. But cause the motion giver to be evermore a blither. Though I answer not its call. And allow my mind, for now, a chance to rest. As waves upon uncharted shores. Though the author of them, I am not. I take the credit nonetheless.